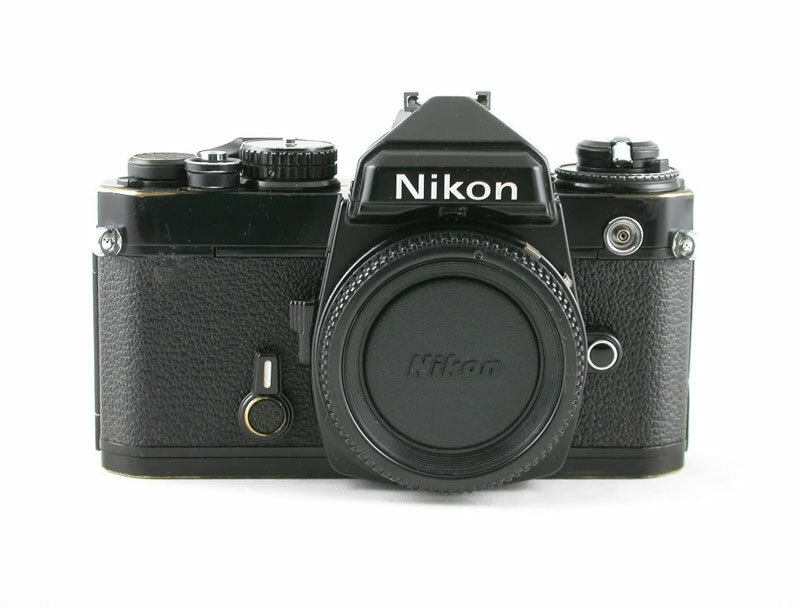 i purchased a camera [Nikon 35mm FM] off e-bay. this photo represents a fraction of a fraction of a fraction of a fraction of my collection (ask family and or friends, they can confirm this). many pairs have broken. many pairs are in my glove compartment. 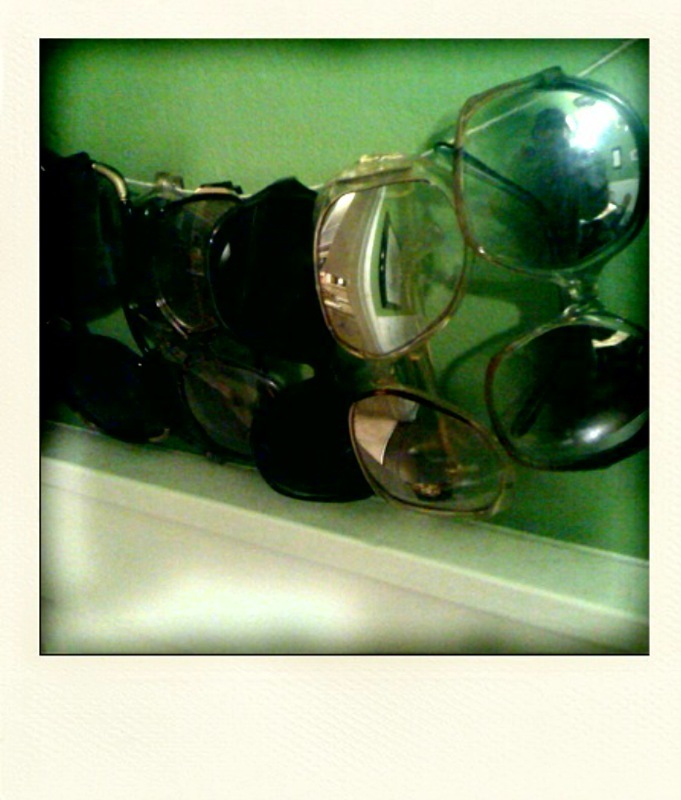 many pairs are scattered around my apartment because they are being used on a daily basis. i wear sunglasses when it’s raining. i particularly enjoy wearing sunglasses when i drive through tunnels. don’t ask me why because i refuse to go into detail: it’s just what i do and have been doing for years. so, deal with it. that said, the camera arrived. i squealed with delight when i opened up the USPS box that it arrived in. i wound the lever once and then no more, it was stuck. if you know anything about these cameras – this should not happen. i’d attached the lens from my old camera (same model, make, and year). i had assumed at this point that i’d done something wrong (which was fairly unlikely because i’d owned that same camera for 7+ years..). regardless, i wanted to confirm whether it was the man or the machine, so i took it to my favorite-most-awesome camera shop in Seattle, ‘Glazer’s.’ i had not one, but two, technicians inspect it and both of them said that i’d “been had” by an e-bay seller. i’d love to share said seller’s name on here, but i’d rather not be a complete tattle. if you want to know his name and/or the ‘business name’ he operates under – go ahead and email me personally so i can save you some grief. so i was back to square one. 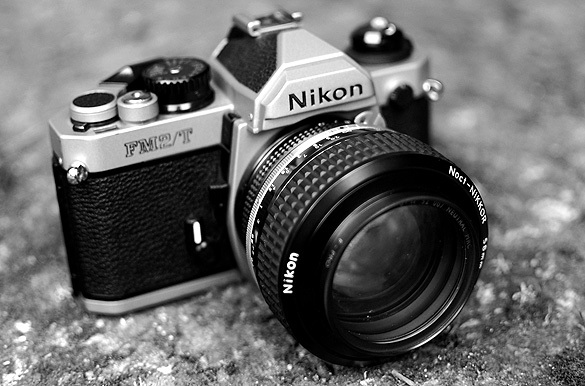 my previous Nikon 35mm FM had died, quite sadly, after a brisk walk in Prospect Park, Brooklyn. this was back in March. i had been waiting until my tax rebate kicked in (mid to late April) to purchase a replacement. i was so excited about this replacement and then it was confirmed that said replacement was kaput. so, there you have it. that’s my story and i’m sticking to it. i have yet to take a photograph with my new camera (did i mention they threw in an old 60’s camera strap for free? so yeah, it’s basically the best camera ever). i have been admiring it from a-far and intend to load it up with film tomorrow and take it for a test drive. it sounds like i just purchased a new car and in many ways i feel that i have. i’ll keep you posted on the new edition to the Kempin Camera family – but i have a pretty strong feeling it’s not going to disappoint and will perhaps [most likely] rise to stardom status among my camera collection – which is starting to become just as excessive as my sunglasses collection. wish me luck RE getting my money back from Mr. Bad E-Bay Seller, i’ve yet to hear back from him and will be pursuing further action(s) tomorrow.